"We cannot go on indefinitely reviving revivals...Neither medievalism nor colonialism can express the life of the 20th-century man. There is no finality in architecture - only continuous change"
Not only was Walter Gropius one of the pioneers of modern architecture, he was the founder of the Bauhaus, a revolutionary art school in Germany. The Bauhaus replaced traditional teaching methods with a flexible artistic community, focusing on a collaborative approach to learning and the creation of integrated design projects. Later, the Bauhaus also incorporated mass production techniques into its output, designing objects and buildings for a wide audience. The school taught some of the most famous names in modernism as well as attracting established artists working within the fields. Despite its relatively short-lived existence, the Bauhaus and the design styles associated with it were hugely influential on a global scale, but particularly so in the United States where many of the artists moved before and during the Second World War to escape persecution by the Nazis. Gropius believed that all design should be approached through a study of the problems that needed to be addressed and he consequently followed the modernist principle that functionality should dictate form. He applied these beliefs to wider social issues, designing affordable housing in the interwar period and seeking to improve physical conditions for factory workers through his architecture. As well as pushing boundaries in architectural design, Gropius also experimented with innovative building and assembly techniques using prefabricated units and new materials such as reinforced concrete. Similar ideas were later utilised to create cheap, mass produced housing in the 1940s (known as prefabs). Gropius is credited with the introduction of modernist architecture to the United States through his design of the Gropius House and his teaching at Harvard University. Gropius's buildings were in stark contrast to previous architectural styles and were characterized by their cubic design, flat roofs and expanses of glass that allowed for a merging of interior and exterior spaces. Walter Gropius was born in Berlin to Walter Adolph Gropius, a government official and Manon Auguste Pauline Scharnweber, the daughter of the Prussian politician Georg Scharnweber. His parents were wealthy and well connected and Gropius spent his summers on the estates of landowning members of the family. Walter Gropius Senior had a keen interest in architecture and Gropius's uncle, Martin Gropius, was also an established architect, his biggest commission being the design for the Museum of Decorative Arts in Berlin (1881), consequently Gropius's interest in architecture was encouraged from a young age. Gropius designed the façade of this factory in conjunction with Adolf Meyer in the period after they left the office of Peter Behrens. The floor to ceiling glass creates a sense of light and the large rectangular panes, punctuated by steel mullions and brickwork, wrap the factory in a continuous manner rarely seen in building design before. Of particular note are the corners, where the glass joins at right angles, giving the illusion of not needing support. This works to eliminate the distinction between interior and exterior, a reoccurring theme in modernist architecture. Every element of the building is simple, functional, and cubic in construction and this pre-empts the Art Deco aesthetic of the interwar period. The entrance and clock date from a 1913 expansion to the building, also designed by Gropius and Meyer. The building was commissioned by Carl Benscheidt, the General Manager of Fagus, a company that specialized in the manufacture of shoe lasts, foot-shaped forms that were used in the production and repair of shoes. Benscheidt was keen for the building to demonstrate a clear break with the past and this provided Gropius and Meyer with a chance to experiment with new ideas and technologies. The influence of their experience at Behrens's office, where they worked on projects such as the AEG Turbine Factory, can be seen in the openness of the aesthetic and the expansive use of glass. Gropius was particularly intrigued by how good design could benefit society as a whole and in this design he saw the use of glass as advantageous for the factory workers, who would be exposed to more light and fresh air than they had been in the enclosed brick factories of the 19th century. Commissioned by the Berlin-based timber entrepreneur Adolf Sommerfeld as his private residence, Sommerfeld House marked the first large-scale example of the Bauhaus method of collaborative design and the unity of art forms. Almost all of the workshops of the Bauhaus Weimar contributed to the design and making of the building and its interiors with the design overseen by Gropius and Adolf Meyer. The interior featured elaborate geometric carvings by Joost Schmidt, stained glass by Josef Albers, weavings by Dörte Helm, wall paintings by Hinnerk Scheper, and furniture designed by Marcel Breuer. Sommerfeld House is perhaps not instantly recognizable as a work by the architectural avant-garde of the period. The use of wood as the main building material lends it a traditional, rustic look and this reflects the early expressionistic phase of the Bauhaus. The plank-based design also references the owner's occupation and the building utilized a patented system of pre-cut interlocking timbers developed by Sommerfeld's own construction company called the Blockbauweise Sommerfeld (Sommerfled block building method). Despite Gropius's forward-thinking designs, he saw wood as a key material, describing it as "the building material of the present...Wood has a wonderful capability for artistic shaping and is by nature so appropriate to the primitive beginning of our newly developing life". In addition to Sommerfeld House, Gropius and Meyer were tasked with designing four houses on the same plot for employees of the Sommerfeld company. The house was destroyed in World War Two. This monument is the result of a competition launched by The Weimar Trades Unions to commemorate those who lost their lives opposing the Kapp Putsch in March 1920. This was an unsuccessful coup, led by the right-wing nationalist Wolfgang Kapp, which aimed to overthrow the Weimar government and establish a right-wing autocracy in its place. The competition committee chose Gropius's design from several submitted, and erected the monument in the Weimar central cemetery. Although Gropius maintained that the Bauhaus should not engage with politics, he agreed to participate in the competition and to involve the school's stone-carving workshop in the project. 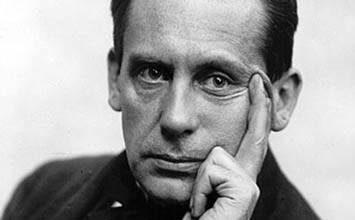 In doing so, Gropius revealed his increasingly Left leaning political sympathies. The memorial was destroyed by the Nazis due to its design and political overtones, but it was later rebuilt in the post-war period. The design is abstract and fractured in its form and is considered part of Gropius's short Expressionist period. The lower sections form a circulatory, ascending path which visitors could follow to an enclosed area for quiet reflection. The lightning bolt rising from the main body of the monument suggests dynamism and the continued living spirit of those that died. The design bears similarities to Expressionist sculptures and architectural projects produced by Gropius's contemporaries at the Deutsche Werkbund. Its form is particularly reminiscent of the cathedral design by Lyonel Feininger which featured on the cover of the 1919 Bauhaus manifesto. The Bauhaus' relocation from Weimar to the industrial city of Dessau provided Gropius with a blank site on which to build a campus that embodied the principles of the school. In his choice of materials and design, Gropius developed ideas first fostered in the Fagus Factory in Saxony and the buildings all utilize new industrial materials such as reinforced concrete and are geometric in design with flat roofs. Additionally, each space was carefully designed to reflect its function. The three-story workshop wing features a glass curtain wall sitting on a steel framework, ensuring that workshops were well-lit, whilst also presenting the idea of the school as an experimental laboratory for new technologies and ways of creating. The interiors of the workshop wing were designed to be free flowing and encourage interconnectivity and movement, while large spaces had moveable partition walls for flexible learning. All the interior fixtures and fittings were designed and produced in the Bauhaus workshops, building community and encouraging collaboration between departments. A five-storey block accommodated the students and junior masters in 28 studio flats with small cantilevered balconies. Away from the main site, Gropius designed houses for the Bauhaus Masters and their families. Originally Gropius had intended to build these using entirely prefabricated components, although, due to technical restrictions, this scheme was only partially realized. The Masters' houses are made of interlocking cubes of different heights and each one includes a studio with large windows and a balcony. Built as his own family home shortly after emigrating to the United States, the Gropius House was highly influential in demonstrating modernist architecture outside of Europe. Gropius used materials typical of New England buildings, such as wood and brick, and combined them with industrial materials, including glass and steel. The structure is a traditional New England post-and-beam wooden frame, integrated with newer features such as the long windows on the first floor and the glass blocks in the porch. In keeping with the Bauhaus philosophy of total art, the house contained furniture designed by his contemporary Marcel Breuer, as well as works by Herbert Bayer and art by the painter and sculptor Joan Miró. As with his earlier designs for factories and industrial buildings, Gropius planned the house to be simple and efficient and to fulfil the daily requirements of his family first and foremost. This can be seen in the links between outdoor and indoor spaces as well as practical adaptations such as the incorporation of built-in storage and a separate entrance for his adopted daughter. As well as spatial awareness within the house, Gropius divided the land around the house into multiple zones, creating a relationship between structure and site. Gropius House was the best way for the architect to establish himself and build his reputation in the United States. It served as a showcase of his ideas for his students at Harvard as well as for potential clients, demonstrating his adaptability in linking the local vernacular with cutting-edge design. The Graduate Center at Harvard University was designed by Gropius in conjunction with the younger architects that made up The Architects' Collaborative. Built to house 575 graduate students, the building complex consists of a main building, seven dormitories, a dining hall, and recreational rooms. Despite being a team effort, Gropius's influence on the project is clear. It contains features characteristic of his past buildings: the floor-to-ceiling windows give a sense of airiness and lightness to the building, as does the use of curves and pilotis (supporting columns) at ground floor level to hold up the upper storeys. The relationship between building and environment was also highly considered in the creation of inner courtyards and covered walkways connecting the individual parts of the complex. As well as glass, Gropius employed a technologically advanced steel structure filled in with limestone. Inside, Gropius's ongoing promotion of the importance of collaboration can be seen in artworks commissioned from artists including Has Arp, Josef Albers, Herbert Bayer, and Joan Miró. Ideologically, the building brought key Bauhaus principles to an international setting: firstly, that modern architecture could benefit education, and secondly that cooperative architectural practice was valuable. It was a bold move for Harvard University, as this was, not only, the first modern building on the campus, but also the first for any major American university. 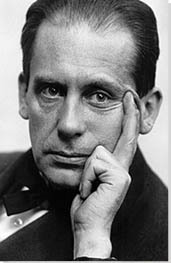 Gropius commended this support of new styles, stating that: "If the college is to be the cultural breeding ground for the coming generation, its attitude should be creative, not imitative". The building can be seen as a turning point in the acceptance of International Modernism in the United States, an endorsement of The Architects' Collaborative as their first major project, and Gropius's largest public project since emigrating to the United States. It can also be seen as a fore-runner to 1950s and 60s Brutalist architecture which owed an enormous debt to the Modernist buildings of the 1930s and 40s in both style and construction.